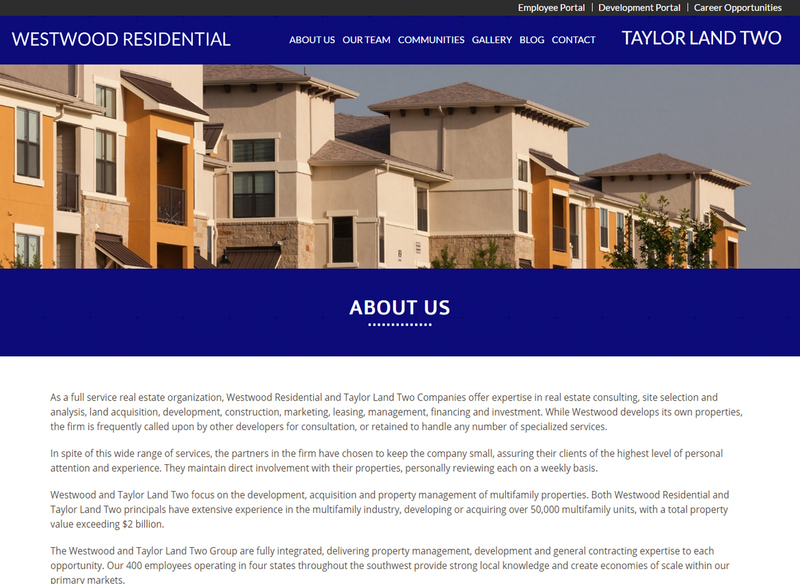 As a full service real estate organization, Westwood Residential and Taylor Land Two Companies offer expertise in real estate consulting, site selection and analysis, land acquisition, development, construction, marketing, leasing, management, financing and investment. 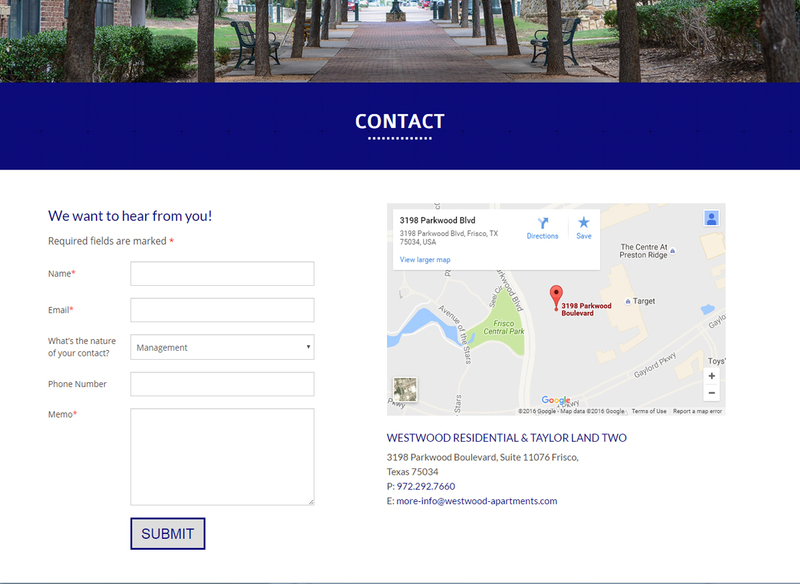 While Westwood develops its own properties, the firm is frequently called upon by other developers for consultation, or retained to handle any number of specialized services. In spite of this wide range of services, the partners in the firm have chosen to keep the company small, assuring their clients of the highest level of personal attention and experience. 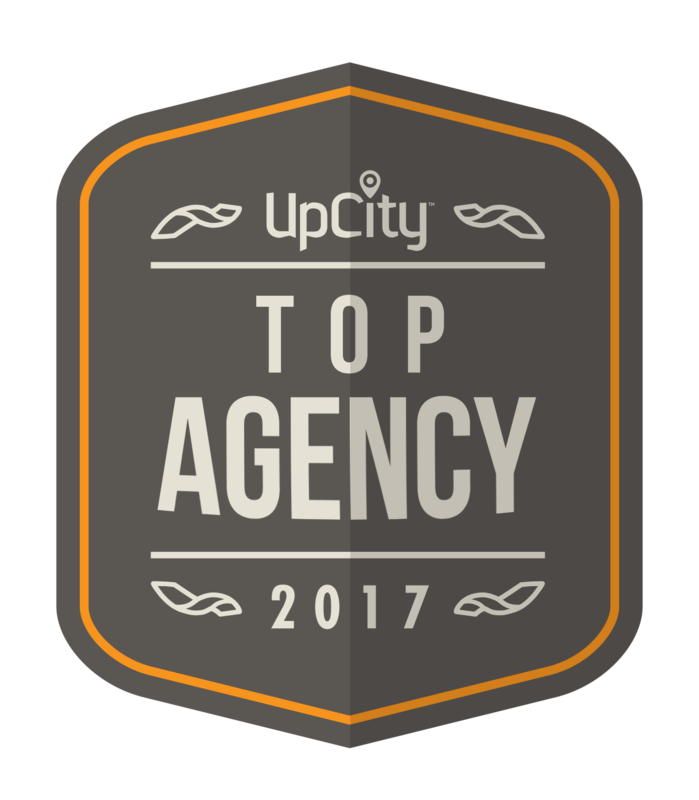 They maintain direct involvement with their properties, personally reviewing each on a weekly basis. 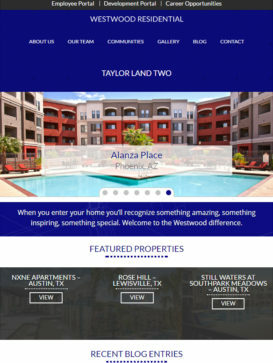 Westwood and Taylor Land Two focus on the development, acquisition and property management of multifamily properties. 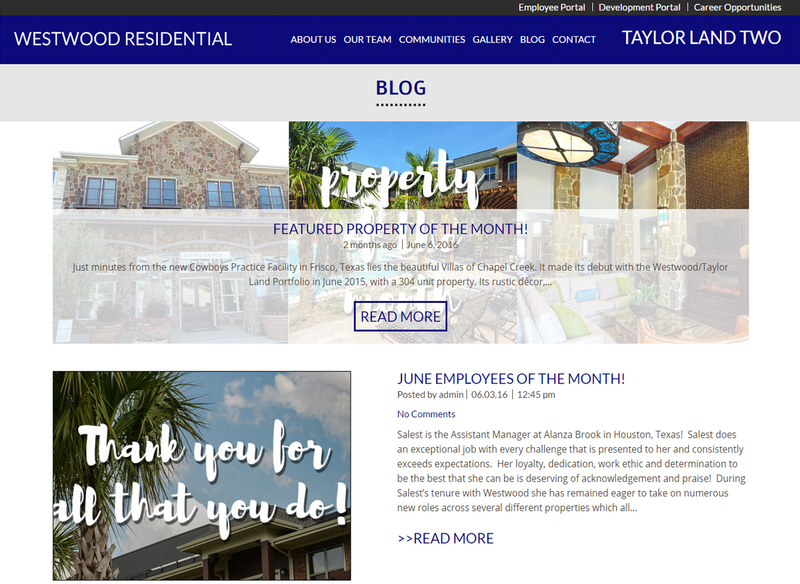 Both Westwood Residential and Taylor Land Two principals have extensive experience in the multifamily industry, developing or acquiring over 50,000 multifamily units, with a total property value exceeding $2 billion. 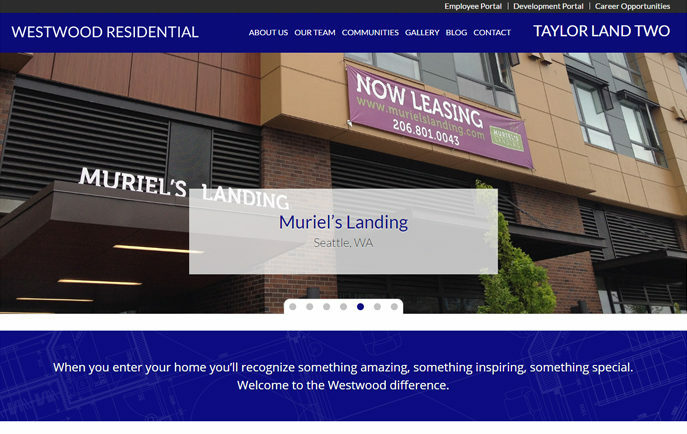 The Westwood and Taylor Land Two Group are fully integrated, delivering property management, development and general contracting expertise to each opportunity. Our 400 employees operating in four states throughout the southwest provide strong local knowledge and create economies of scale within our primary markets.